Since its inception, the department store has pioneered the experience of shopping as entertainment. However, as many of New York’s legacy departments stores close, the ones that remain are rethinking their roles in order to remain competitive in this digital age, offering shoppers access to a rotating array of exclusive merchandise, creating immersive shopping experiences that surprise and delight, and upping the ante on customer service with digital tools. The standalone men’s shop of this department store chain combines cutting-edge technology and traditional, 1:1 service to drive meaningful interactions and set itself apart from the hustle of large department stores. 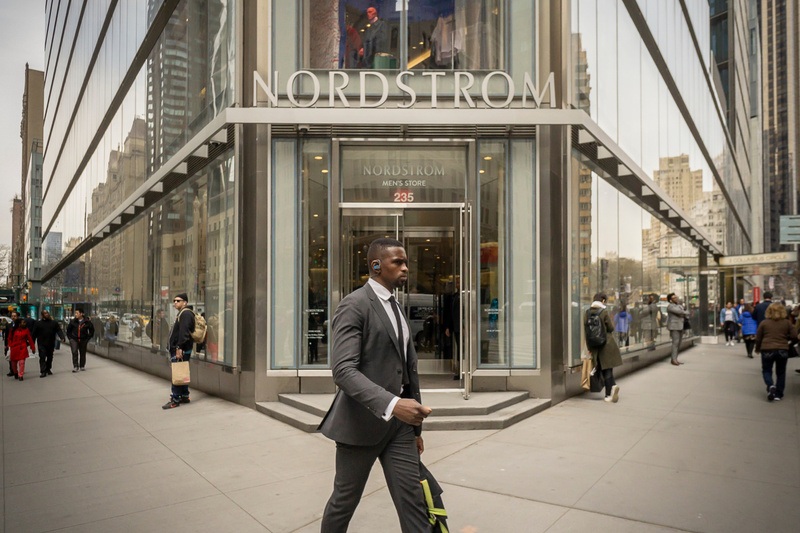 With same-day deliveries, on-site tailors, a self-service return bin and digital tablets to check online-only products, Nordstrom’s store ensures that shopping is seamless and value-centric. Department store Bloomingdale’s has launched the ‘Carousel,’ a series of rotating in-store pop-ups featuring merchandise that has been curated around different themes. These theme-based pop-up shops will change assortment every two months, giving customers the opportunity to immerse themselves in an exclusive experience as well as introduce them to brands and products that they might be unfamiliar with. Showfields calls itself ‘the most interesting store in the world.’ The four-story space houses customized flagship spaces for digitally natives brands, giving them a brick-and-mortar presence and creating a destination for shoppers to engage with their favorite brands and discover new ones. In addition to the immersive and interactive experiences offered by its tenants, such as the GRAVITY relaxation space by relaxation app Calm and Beats by Dre, the space features special food and event programming. The collection-driven fashion and shoe store KITH regularly cultivates a crowd of streetwear fans queued outside for limited-edition drops and hard-to-find pieces. The bottom floor houses Kith’s apparel and multi-brand products, and the second floor is dedicated to shoe lines, as well as Kith’s iconic ice cream machine. Retail innovation in New York is not limited to department store brands, as many other industries are creating dynamic services and experiences. For more on the most innovative retail the city has to offer, download PSFK’s 2019 New York Retail Innovation Guide, available now.